If you would like to stop by and check our location out, please call or email to set up a time. We do not run office hours. By appointment only. Addresses and maps below. Call 778 714 4327 if you get lost. We will give you directions. Saturday and Sunday. Starts in the classroom at the Holiday Inn. 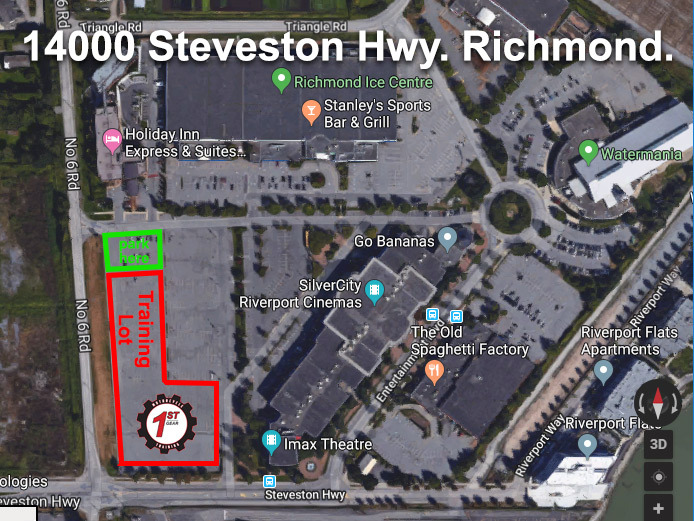 Training Lot – Parking Lot @ 14000 Steveston Hwy. Richmond. Monday Evening – Jammers Cafe Motors @ 350 W 8th Ave. Vancouver. Tuesday to Thursday. Starts in the classroom at Richmond Ice Center. Same place as our training lot. 14000 Steveston Hwy. Richmond. 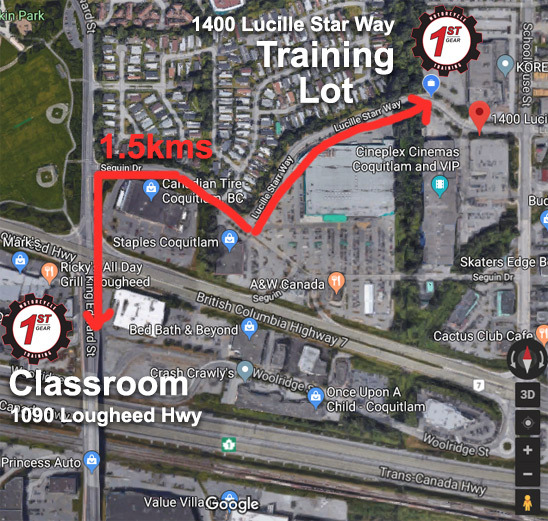 Classroom – Ricky’s Restaurant (Conference Room) @ 1090 Lougheed Hwy. Coquitlam. Training Lot – Parking Lot @ 1401 Lucille Starr Way. Coquitlam.